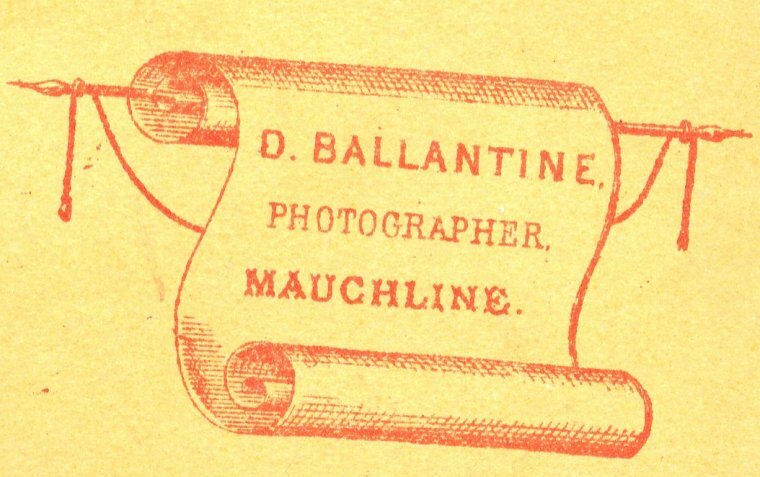 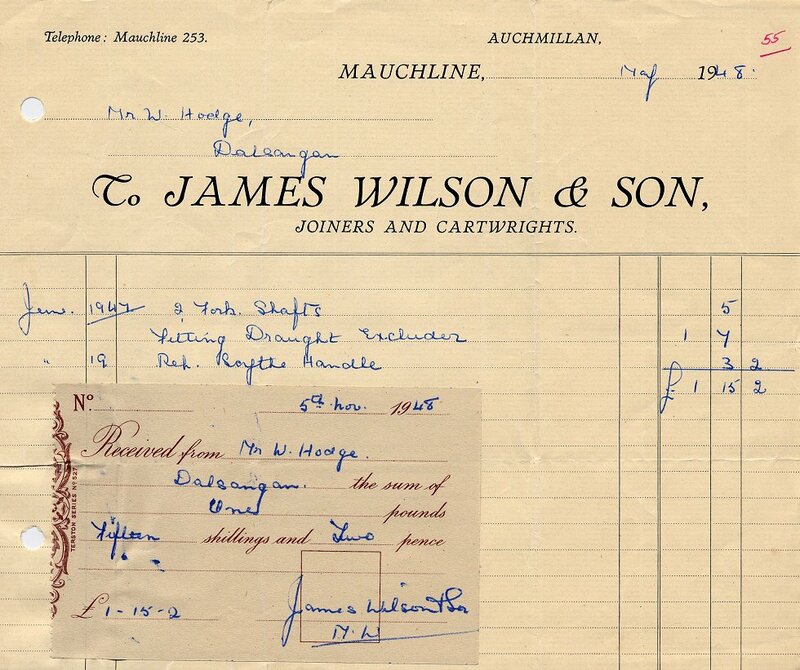 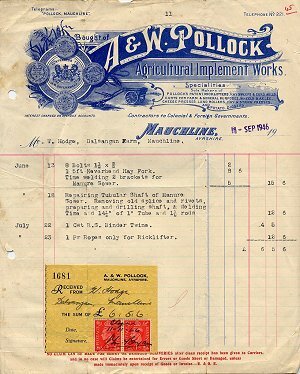 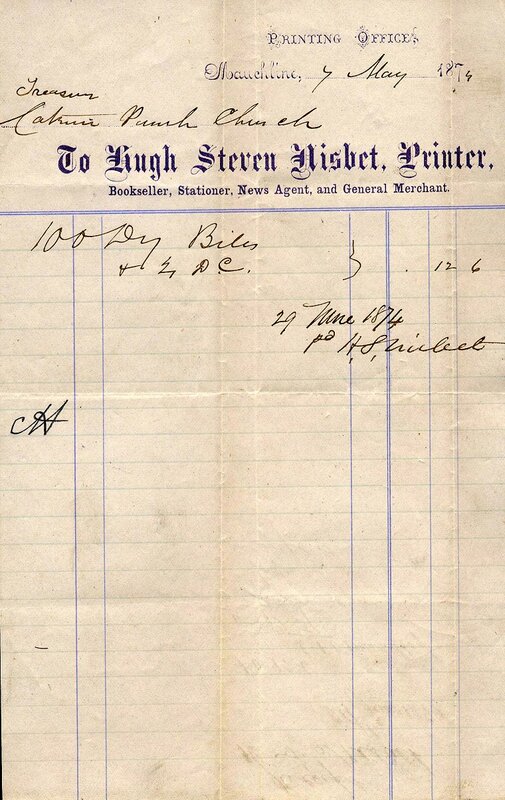 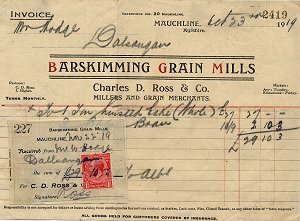 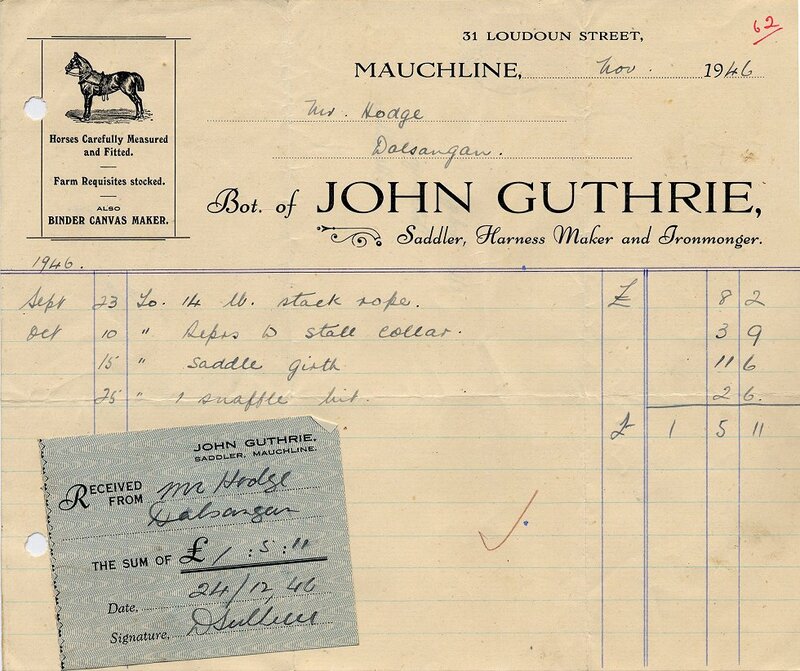 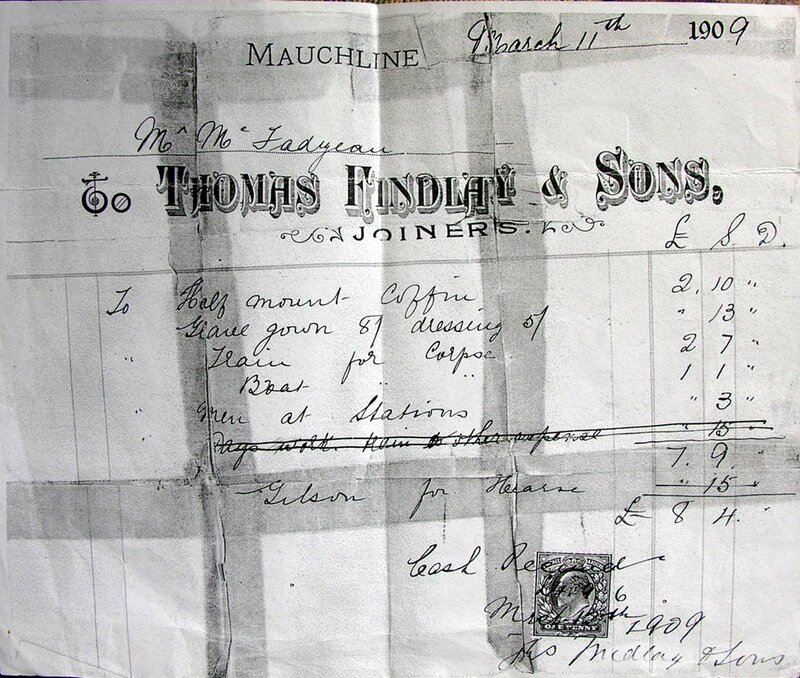 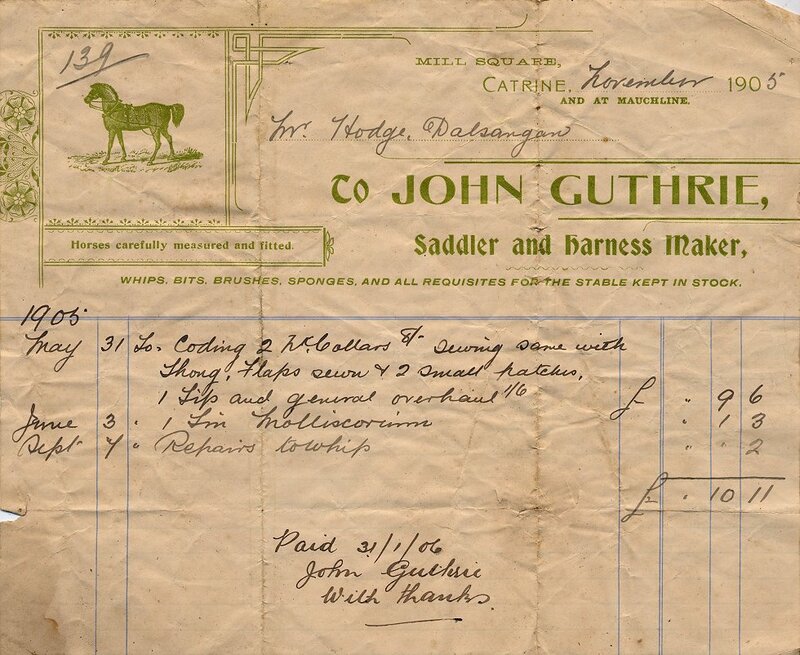 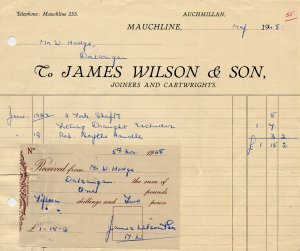 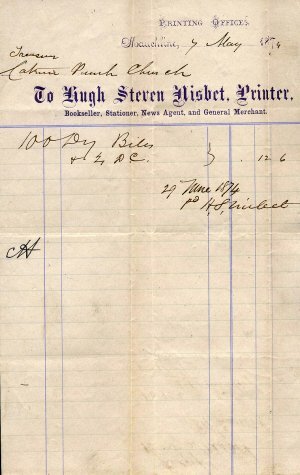 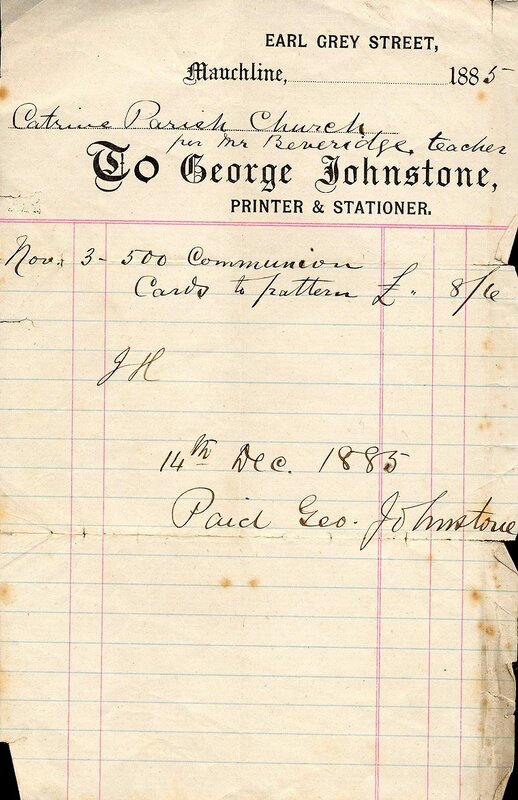 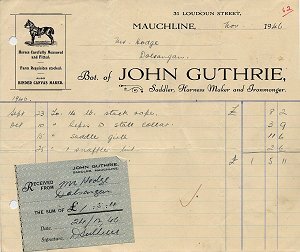 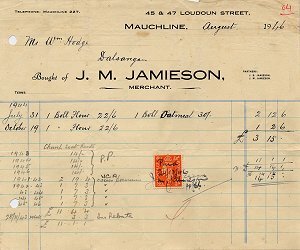 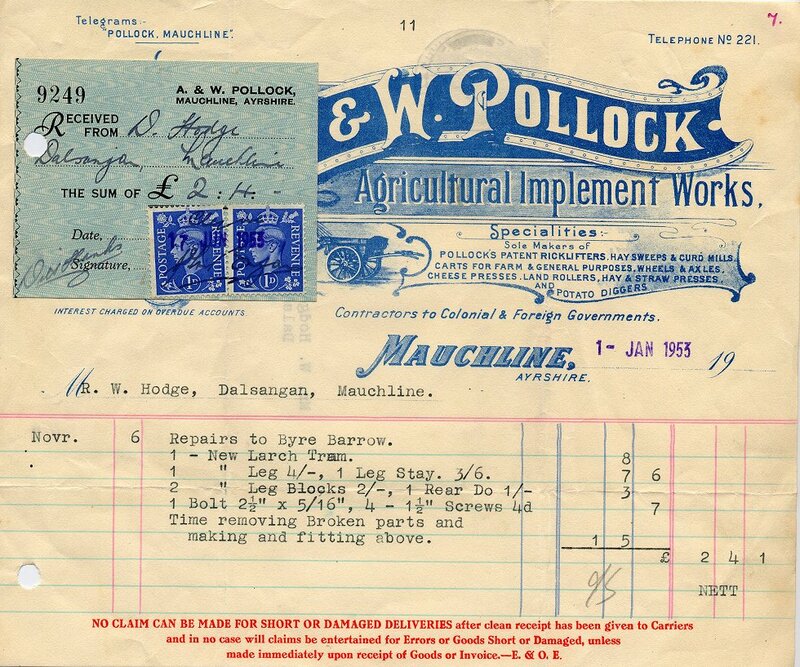 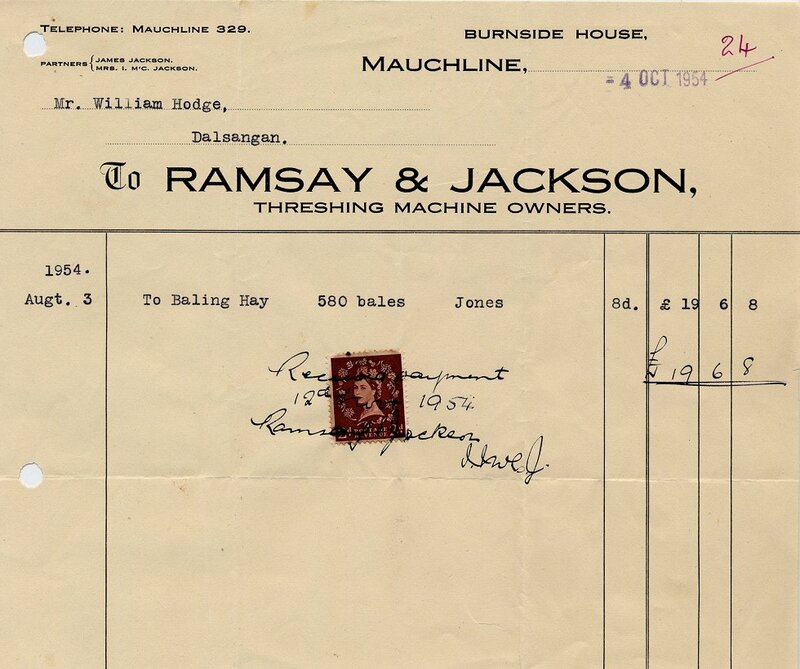 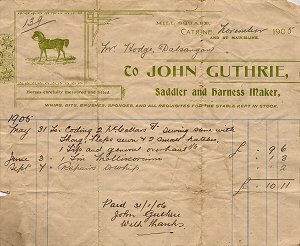 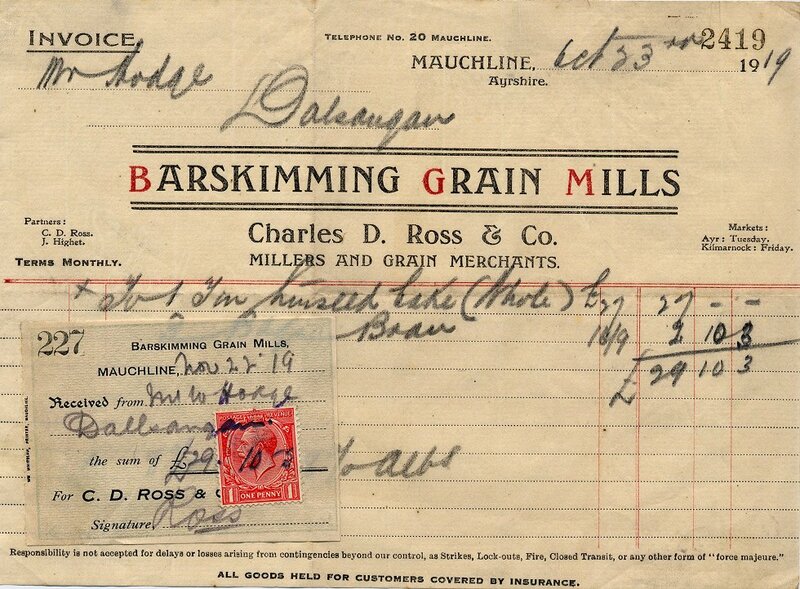 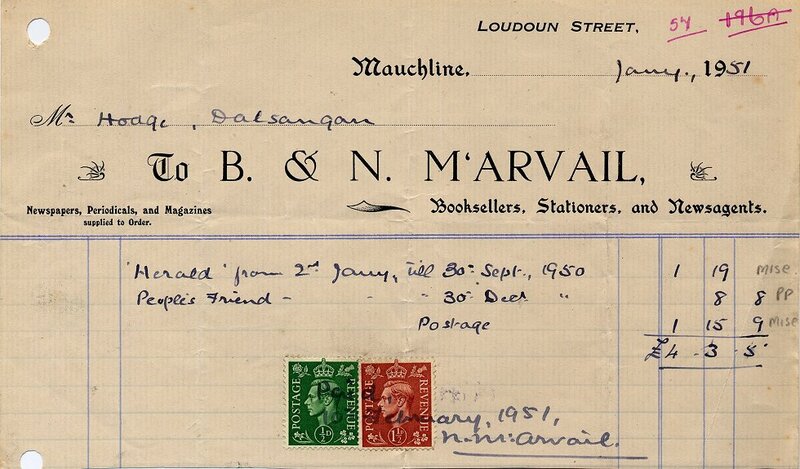 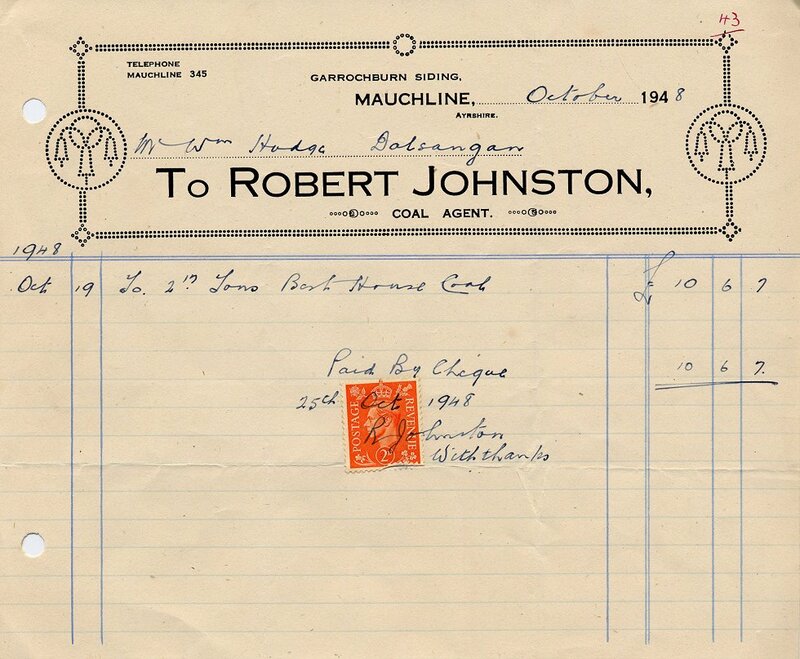 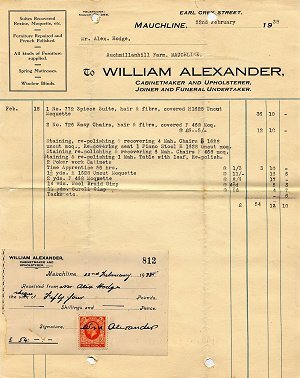 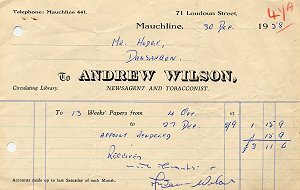 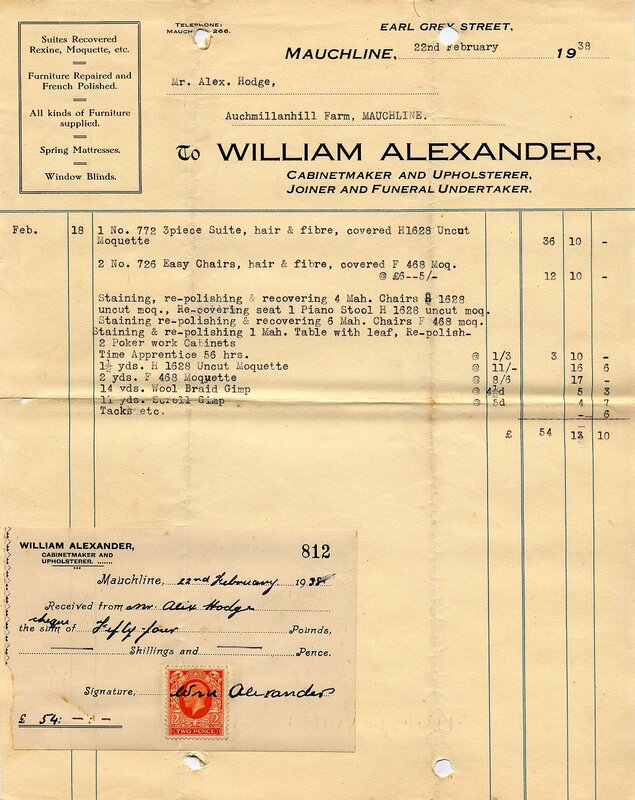 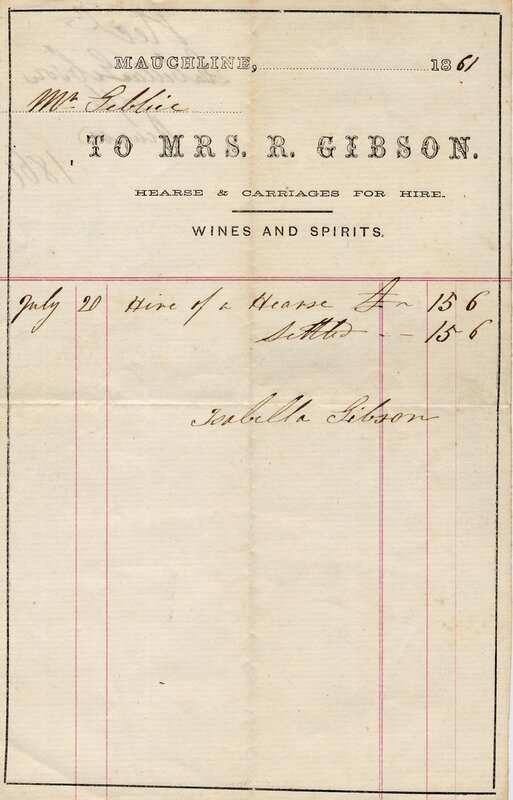 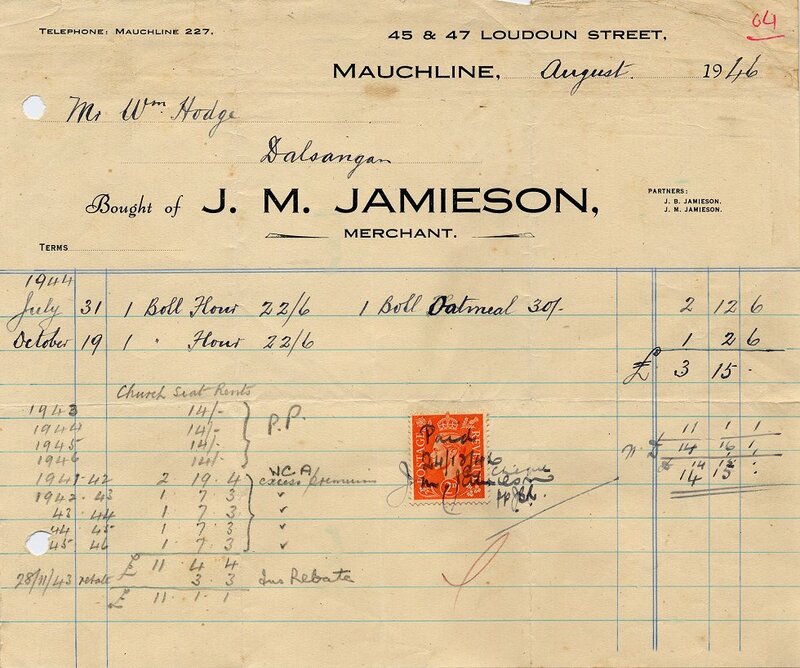 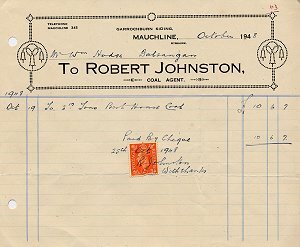 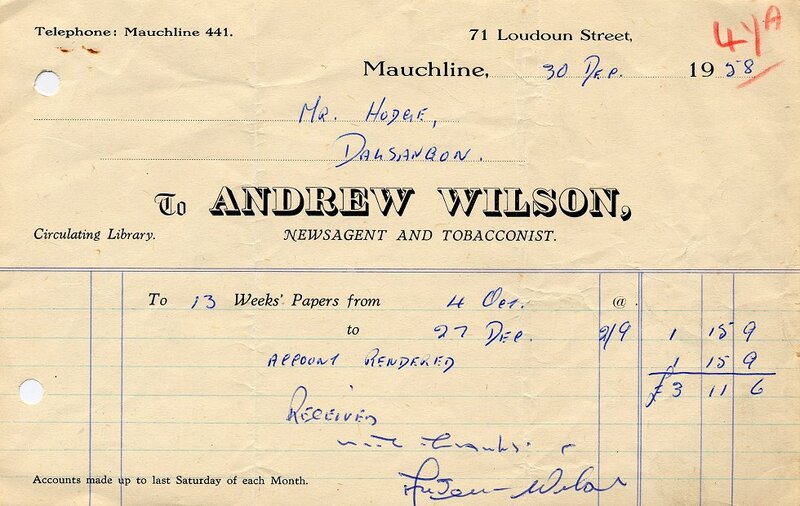 The two oldest receipts from Mauchline in this collection are Nisbet and Gibson. 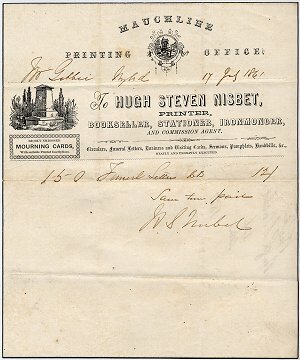 Nisbet the printer was the author of the story of the 1859 flood in Mauchline. 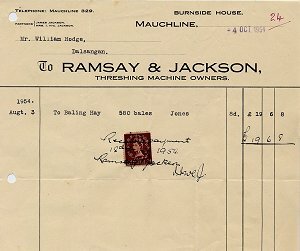 The Gebbie mentioned on the billheads are from The Wynd, just over the Sorn Parish boundary into Galston. The Bairds were in the Wynd or Wynds for most of the 1900's, and still are. 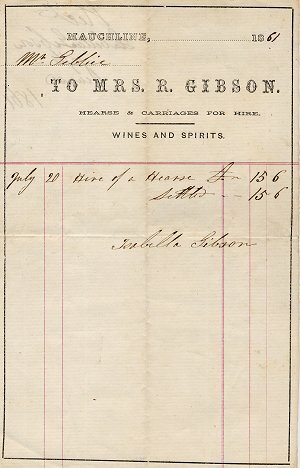 There was a Gibson connected to Poosie Nansie's at one time although at the time of writing, confirmation is not available of Gibsons in the pub in 1861.